Two years after it was introduced to Iran’s Parliament, the parliamentary Committee for Judicial and Legal Affairs has rejected a bill to ban marriage for girls under the age of 13. Civil rights advocates responded to the news by noting that some lawmakers will continue to push the bill forward while many Iranians expressed their outrage on social media. Tayebeh Siavashi, a member of Parliament (MP) in the women’s faction, announced the news in a tweet on December 23, 2018, adding that a parliamentary majority had approved the general outline of the proposal in September 2018 after it was first introduced in 2016. Siavashi noted that opponents of the bill claimed it was not in accordance with Sharia (Islamic law) and promoted assimilation to Western values. “Unfortunately, our plan to ban marriage [for girls] under the age of 13 has been dismissed outright by the judiciary committee, even though earlier [the bill’s outline] had been approved with urgency by the [full] Parliament,” Siavashi tweeted. “Opponents mostly mentioned theological matters and the Sharia as their reasons and of course they said we were imitating Western designs,” she added. However, the year the bill was first introduced in 2016, some well-known conservative clerics expressed support for the notion of banning child marriages. 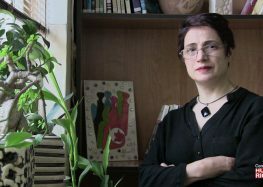 One of the main claims made by opponents of the bill, that it imitates “Western designs,” is a derogatory reference to UNESCO’s 2030 Agenda for Sustainable Development, non-binding UN guidelines that President Hassan Rouhani failed to implement after they were smeared in a campaign led by religious conservatives. “One of the criticisms has been that they say we wrote the proposal based on the 2030 Agenda, but this is completely untrue,” Sivashi said. In September 2016, Rouhani’s cabinet entrusted the Education Ministry to draft Iran’s national education policy taking into consideration the UN document’s non-binding guidelines. Those alleged “anti-Islamic” recommendations include educating adults and children about sexual abuse. “Iranian society is virtually defenseless in dealing with these issues [of child sexual abuse] not just because of a lack of education, but also the absence of institutions where victims could turn to for protection without fear,” Said Peyvandi, a member of UNESCO’s Peace and Education Commission, told CHRI in September 2017. Shortly before the bill was rejected, on December 11, MP Parvaneh Salahshouri decried the politicization of a human rights issue. Siavashi also noted that she would continue to pursue the matter in Parliament. “The proposal has been rejected but we will read the opponents’ report in the open session of Parliament and pursue the matter as necessary within legislative regulations,” she said. According to Iran’s parliamentary rules, reports issued by committees (after votes) can be read out in open sessions. After that, lawmakers can vote again and send proposals back for further deliberation. However, it remains unclear whether this scenario could lead to the passing of the bill. The so-called “child spouse” bill, introduced to Parliament in 2016, proposes an absolute ban on the marriage of girls under age 13 and an absolute ban for the marriage of boys under 16. For the marriage of girls between the ages of 13-16 and for boys between the ages 16-18, the bill would require parental consent and court permission. Marriage for girls over 16 and for boys over 18 would require no court permission. Currently, girls in Iran can be legally married at age 13 and boys at 15—and even younger—including girls as young as nine lunar years of age—with a father’s and judge’s consent. The most recent statistics about child marriages in Iran, published in 2016, showed girls under the age of 18 made up 17 percent of all marriages in the country. Also, on December 11, 2016, the Iranian Students News Agency (ISNA), reported that according to the National Organization for Civil Registration, more than five percent of marriages between March 2015, and December 2015 included children under the age of 15. During the same period, more than 204,000 girls got married between the ages of 15 and 19. On September 26, 2018, the outlines of an urgent proposal to revise Article 1041 of Iran’s Civil Code regarding marriage was approved by 151 of the 204 members present in Parliament. The proposal called for a ban on marriage for girls under 13 and boys under 16 years of age. He added that lawmakers should not be discussing such matters at a time when the country is struggling economically. According to the UN Convention on the Rights of the Child (UNCRC), which Iran signed in 1991, any person under the age of 18 is considered a child. Yet significant numbers of marriages between girls and boys well under that age continue to take place in Iran despite the ratification of the UNCRC by Iran’s Parliament in 1994. Meanwhile, Article 16 of the Universal Declaration of Human Rights, which Iran is also a signatory to, states that “Men and women of full age, without any limitation due to race, nationality or religion, have the right to marry and to found a family,” which means children cannot freely and logically make such decisions for themselves because mentally they are not yet fully developed. In an interview with the state-funded Iranian Students News Agency (ISNA) on December 24, 2018, MP Hassan Norouzi, the spokesman for the parliamentary Committee for Judicial and Legal Affairs, which shot down the bill, said he opposed it because it raised the age of marriage for girls in Iran to 16, which he compared to France’s legal age of 15. Norouzi did not mention that the bill also seeks to prohibit girls from marrying before the age of 13, with the exception of those who have parental approval and judicial consent—a provision that exists in no other country. According to Norouzi, if proponents want to amend the Civil Code’s Article 1041, they need to seek the approval of the Expediency Council, Iran’s highest arbiter of disputes between state branches. In 1934, Article 1041 of the Civil Code set the minimum age of marriage at 15 for girls and 18 for boys. In 1975, Family Protection Law increased the age of marriage to 18 for girls and 20 for boys. But after the 1979 Islamic Revolution, the marriage age was lowered. In 1982, the marriage age was changed to 9 (lunar years) for girls and 15 (lunar years) for boys. Then in 2002, the marriage age for girls was set at 13 and 15 for boys with a clause that 9-year-old girls could get married with parental permission and the court’s consent.